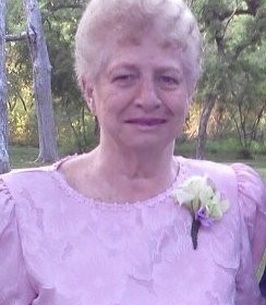 Norma J. West, age 81, died peacefully at home on Thursday, March 7, 2019. Norma was born on August 28, 1937 in Overton, Texas and was raised by her parents Hugh Dean Riddle and Doshia Emma (Warren) Riddle. Norma is preceded in death by her parents H.D. & Doshia Riddle, sister Carolyn Donaldson and two grandsons Christian and Colton. Left to cherish her memory are her loving husband of almost 51 years Don, four daughters Doshia Brown and husband Mark, Teresa Swindle and husband Rodney, Kelly Varner and husband Gary, Staci League; eight grandchildren Catrina, Stinson, Korbyn, Jennifer, Wesley, Courtney, Garrett, Austin; two great grandchildren Madeleine and Emmaline; as well as numerous other extended family and loving friends. The family will receive friends from 6:00 – 8:00 pm, Monday, March 11, 2019 at Brown’s Memorial Funeral Home, 707 North MacArthur Blvd., Irving, TX 75061. A graveside service will be held at 1:00 pm, Tuesday, March 12, 2019 at Oak Grove Memorial Gardens, 1413 E. Irving Blvd., Irving, TX 75060. To send flowers to the family of Norma J. West (Bateman), please visit our Heartfelt Sympathies Store.